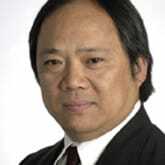 Dr. Chen is the Managing Partner Ignatius Transaction Partners, a boutique life sciences merchant bank in San Francisco. He also serves as a venture partner of Panacea Venture Fund, a China based healthcare venture. Ben was most recently the CEO of Los Angeles based ImaginAb, Inc. and immediately prior to that he was the CEO of London based Immune Targeting Systems, Inc. Prior to returning to running companies and starting his own merchant banking practice, Ben spent none years as a Managing Director at Burrill & Company, a San Francisco based global life sciences venture. In his professional career, Dr. Chen has made numerous contributions in assessing technology, transferring discoveries into the clinic, raising venture investment and establishing strategic partnerships among pharmaceutical and biotech companies. Dr. Chen’s merchant banking activities spread out worldwide and include relationships in North America, Europe, Israel, China and the ASEAN countries. Dr. Chen also has the honor of building talented scientific teams in immunology, genomics, virology, gene therapy, vaccine and cell biology at Roche Diagnostics, Sentinel Biosciences (a Roche company), Progenesys, SyStemix (a Novartis company) and Immune Targeting Systems. He played a key role in the IPO of the first biotech start-up that he joined, as well as the acquisition of SyStemix and Sentinel Biosciences by Novartis and Roche Diagnostics, respectively. Dr. Chen studied at the University of Wisconsin-Madison and Stanford University.